Cllr Pearce was delighted to be a guest at the latest WEC schools Council meeting held at the new building of Reading Girls school. 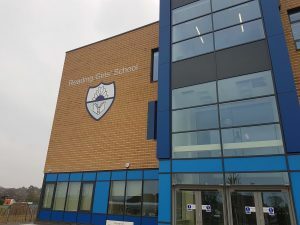 The impressive new building held host to students from Geoffrey Field, Ridgeway, Chirst the King, New Christchurch and of course Reading Girls. Students from age ranges of 7-16 shared their views on their role models, local facilities, transport, education and the state of school meals! They also quizzed Cllr Pearce on his idols and the local library. A big thank you to everyone involved, a great show case for the young people of Whitley. This entry was posted in Ward School News on March 24, 2017 by Ashley Pearce.